We haven't been to PS (Chinatown) for ages. So last week, we went there for the fun of visiting the jostling crowd and noise and to squeeze our way through a sea of bodies. We were there for the food. 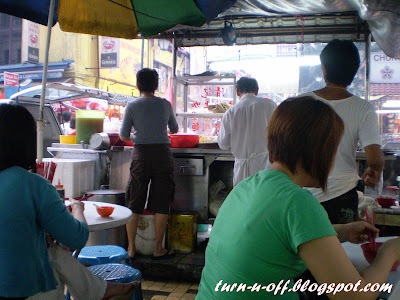 Looking for hawker food or street food to be exact. 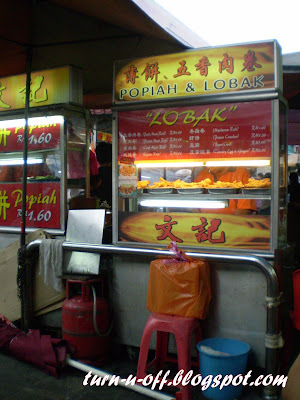 It was around 5p.m and the food stall at the corner of HLB wasn't open yet. Due to my empty stomach was complaining, we decided to try the food across the street. 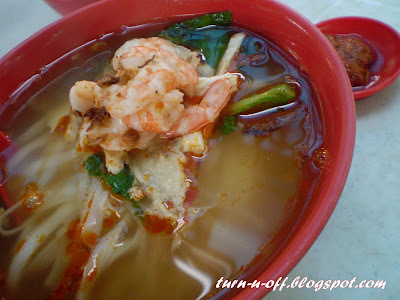 A delicious bowl of Prawn hor fun (flat rice noodles). Superb! 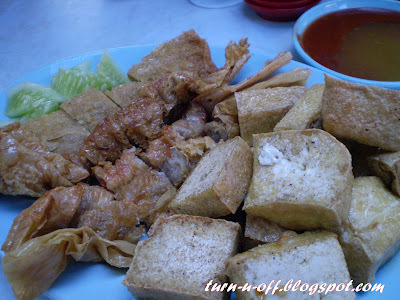 hmm...I'm always craving for hor fun. Lobak, a mix of deep fried stuffs served with two types of dipping sauces. 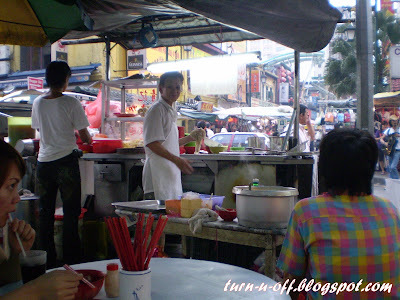 Hawker food is extremely cheap and don't be surprised that some stalls serve very good food too! When you mentioned Petaling Street, it brought back memories of the times my buddy and me used to go there and buy pirated games and stuff ... LOL! I haven't been there in ages too. Maybe I'll make a trip down there one fine day. 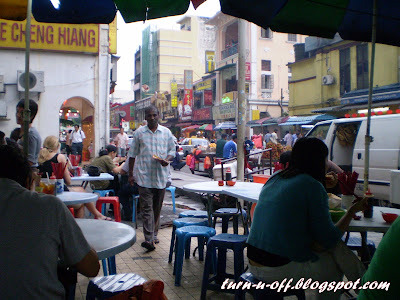 I like to eat the IKAN BAKAR at the back street, think it's open during night time only. Ermm.. think that was about 3 years before?? somehow I don't buy pirated games or DVD from PS...hehe..
3 years ago? hahaha..who knows probably it's still there!? 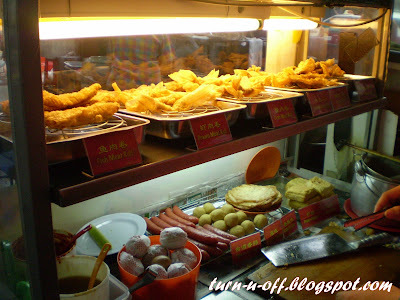 mmmmmmm Yummy Yummy... Any Shui Gao?